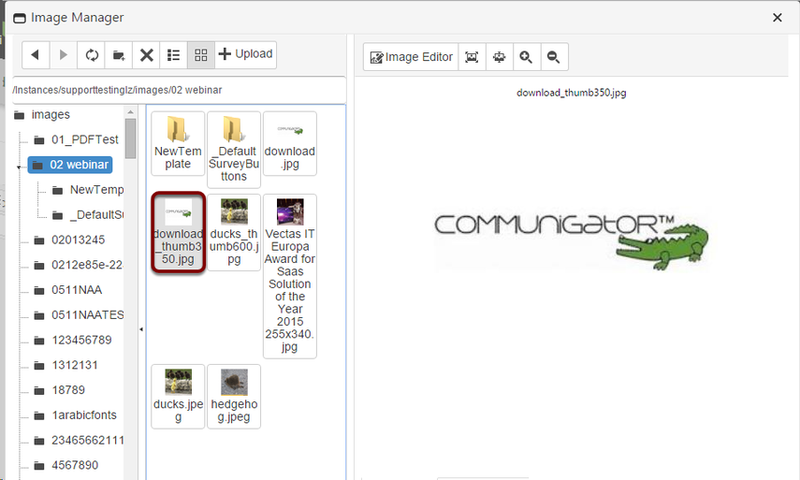 In CommuniGator it is important to re-size images within the image manager and not in the HTML code. This is because different email clients interpret the HTML code differently. 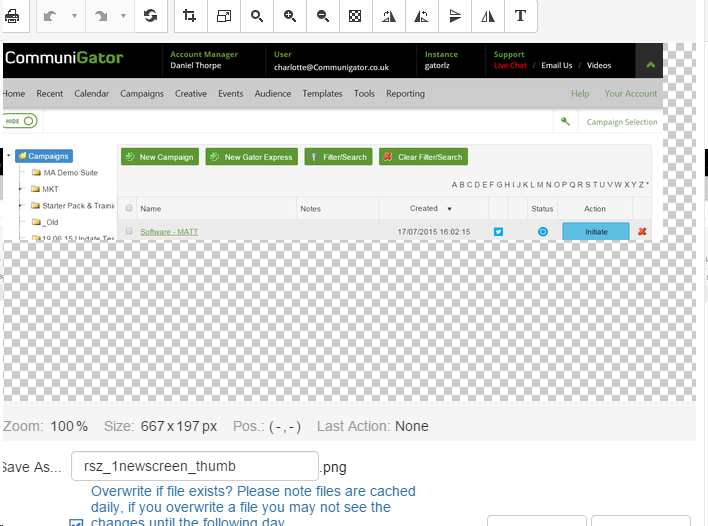 Some email clients will interpret the code based on the image size in the HTML code, whilst other email clients will interpret the image size based on the file path. By ensuring that the image is hosted and re-sized in the Image Editor, you can ensure that all of your recipients get the same high-quality experience. 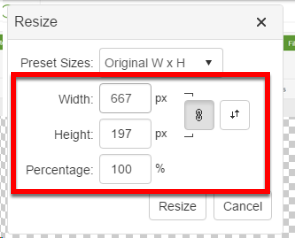 Below is a step-by-step guide on how to re-size images in CommuniGator. 1. Click on the Image Manager icon in the toolbar. 1. Locate the image that you would like to re-size. This will then take you through to the Image Editor function in CommuniGator. To resize the image select the resize button (Highlighted below). You then have the option to change the width and the height of the images. Once you have change the height or the width of the image click resize and this will change the size of the image. The first button to the right of the size is constrain proportions. This will maintain the aspect ratio of the image. The second button is the Swap Width and Height and will change the width and height around and vice versa. You then have the option to rename the file, if you don’t rename the image it will automatically add "_thumb." Once you are happy with the size and name of the image click save.